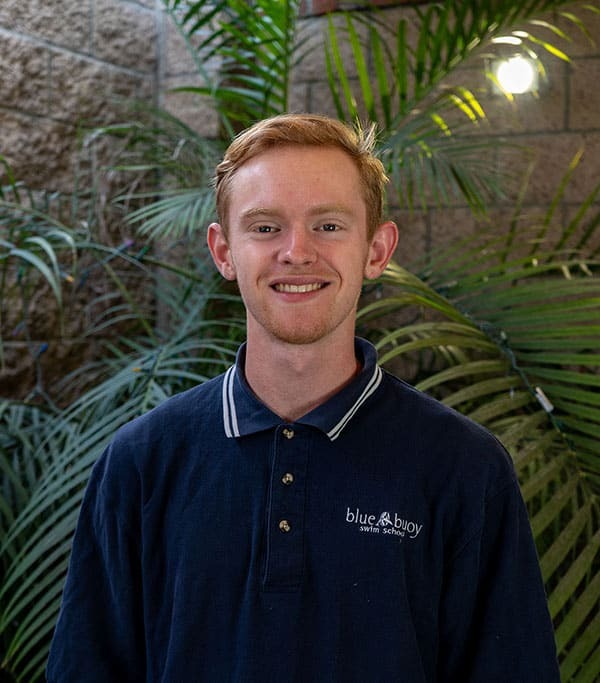 Rather than hiring high school students as needed for a single season, Blue Buoy employs year-round teachers who are 19 years of age and older and with the expectation that they will be here to work with your child for many years to come. Our swim instructors undergo comprehensive theoretical and hands-on training on Blue Buoy’s internationally renowned teaching philosophy and methods and are CPR & First Aid certified. All Blue Buoy pool staff are finger printed through Live Scan. Johnny & Cindy represent three generations (including 2 sons & 6 grandchildren) of Blue Buoy Family. Johnny brings over 50 years of teaching experience at Blue Buoy. He has also coached high school water polo and swimming, synchronized swimming, and taught scuba. Many of Johnny’s students have achieved elite status in competitive swimming and water polo, including seven who have competed in the Olympics or set World Records. Johnny is a charter member and past president of the US Swim School Association and co-author of its Infant Toddler course that has been taken by thousands of instructors world-wide. Johnny & Cindy have been invited to speak on Blue Buoy’s unique philosophy and teaching methodology in Australia, New Zealand, Sweden, Canada, Mexico, and throughout the United States. Always concerned with water safety, Cindy and Johnny founded the Swim for Life Foundation (SFL) in 2004 and created the Safer 3 Drowning Prevention program. The Safer 3 message is being used throughout the U.S and gaining international recognition. The Safer 3 Early Education Drowning Prevention Program curriculum is being taught in schools districts & preschools across the nation. Both are on the Board of Directors of the National Drowning Prevention Alliance (NDPA). Johnny is a past president of NDPA and President of the SFL Foundation. Eric has been Blue Buoy Family since the early 1970’s. He grew up taking lessons with almost every teacher, and was one of the most challenging 2 year old students ever! He became an excellent swimmer, participating in Blue Buoy swim meets for 10 years. Eric continued to swim competitively and played water polo at Villa Park H.S. with All American honors. Later he coached girls’ water polo at Villa Park for four years. Eric began teaching at Blue Buoy in 1991 where he met his wife, Jennifer. His two children (Turner & Emma Atlea) continue the tradition here at Blue Buoy as Instructors. Eric continues to play water polo for SOCAL Masters water polo program.. he is always looking for people to come play! Jeremy has been Blue Buoy Family since the 1970’s. He learned to swim at Blue Buoy, where his mom (Laurie) taught, and also participated in Blue Buoy swim meets. He swam and played water polo at Tustin H.S. Jeremy has taught at Blue Buoy since 1992 and works with all levels, from Parent & Me to advanced stroke technique. Jeremy has also coached for SOCAL and the Tustin H.S. water polo team. Jeremy is our lead photo guy! Check out all the cool underwater photos on Facebook! Many of the videos on Blue Buoy’s website have also been filmed and edited by Jeremy. In his spare time he is chasing his 2 daughters around! 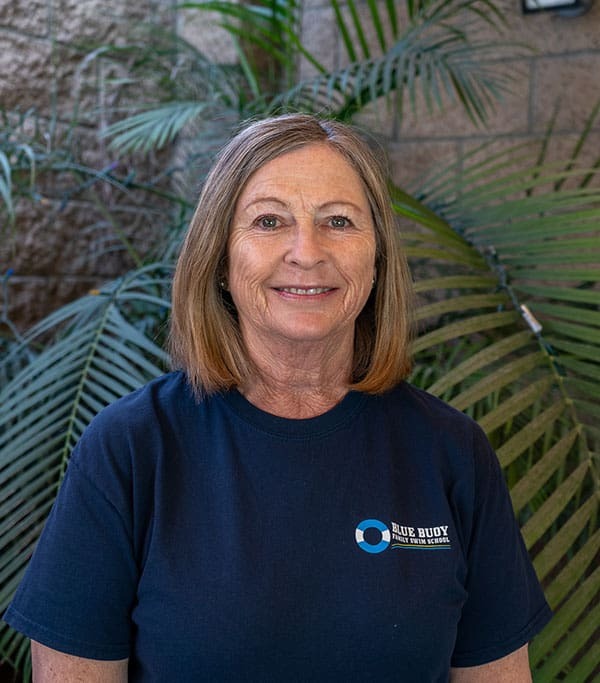 Rosi first became a part of the Blue Buoy Family since the 1980’s when she brought her son, Dan for lessons. He grew up learning to swim at Blue Buoy and went on to be an All-American water polo player at UCI. 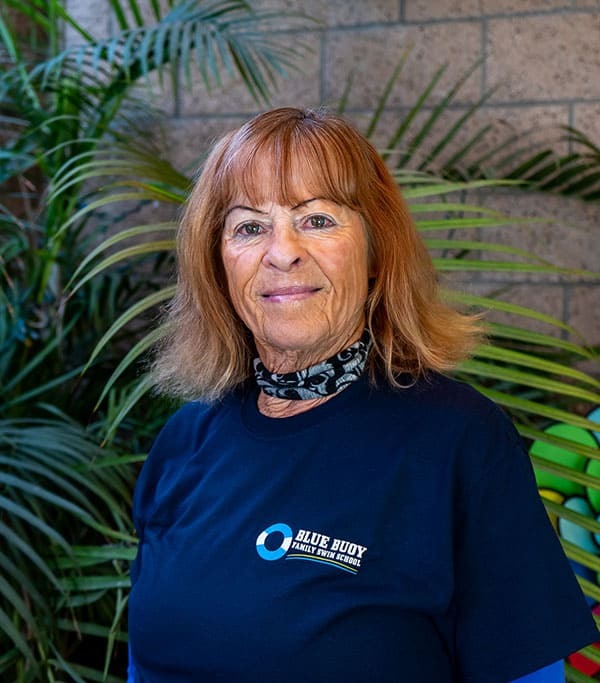 Rosi has been teaching at Blue Buoy since 1987! She moved here from Germany and went to school at Golden West College. During her tenure there she competed on the swim team. Later, she was the assistant coach on the track and cross-country teams, and became head coach of the women’s cross-country team. After graduating, she went on to get her B.A. in Physical Education, from CSULB. Rosi has run the LA Marathon 3 times as well as many triathlons and ½ marathons. She still loves swimming a couple laps on her teaching breaks. 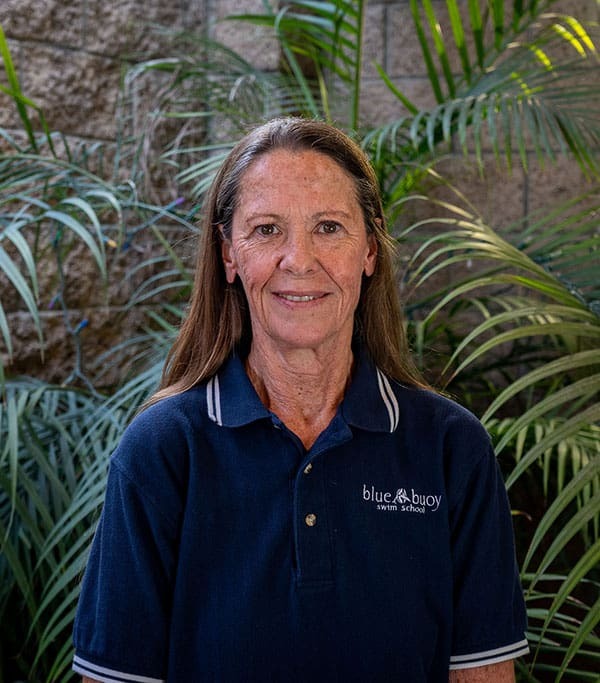 She has taught thousands of students during her time with Blue Buoy, and she loves it. Teaching swimming keeps her young at heart! 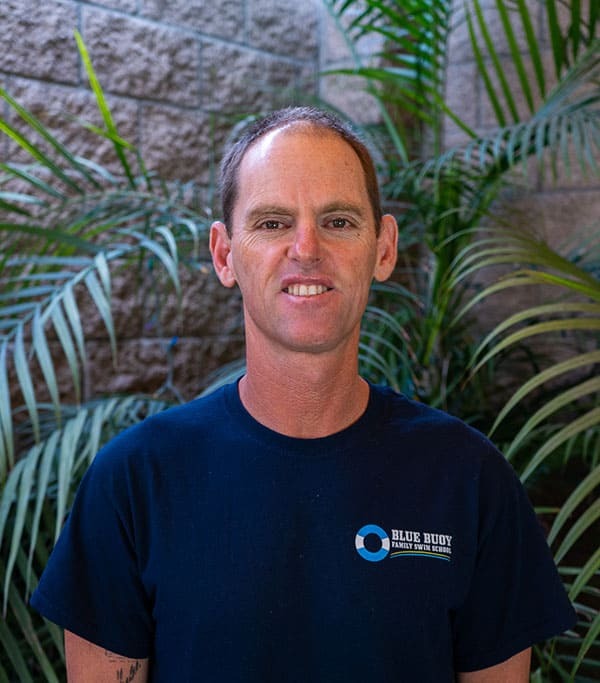 Dan has been teaching since 1994, but has been part of the Blue Buoy Family since the 1980’s. He learned to swim at Blue Buoy, participated in the Blue Buoy Meets as a child, and later swam competitively at Tustin H.S. In his spare time he enjoys photography. His work can be seen in Swim World Online. Inst. 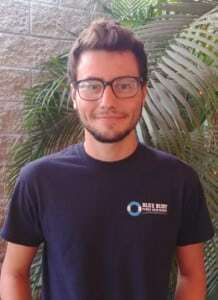 Dan teaches all age groups, Parent & Me, helps substitute teach and guards the pool. Laura has been Blue Buoy Family since 1998. She taught for nine years and is now our front office supervisor. Laura swam on the Downey Dolphin Swim Team from 1964-1972. She has 2 grown children who also worked at Blue Buoy and 2 grandchildren who learned how to swim at Blue Buoy. She enjoys cooking, traveling, and spending time with her grandchildren. Adrian has been Blue Buoy Family since 2008. As a teenager, he swam and played water polo for Villa Park High School, ORCA, and Santa Ana College. He currently competes and plays in SOCAL’s Masters water polo. He has a BS in Kinesiology from CSUF and is a former Swim Camp Director from Camp James! Adrian has experience coaching high school swimming and water polo. Adrian has been Blue Buoy’s lead teacher in its Aquachievers program for special ability children since 2012. He volunteers with multiple charities including the Max Love Project, Camp Erin, UCP of Orange County and the O.C. Burrito Project. 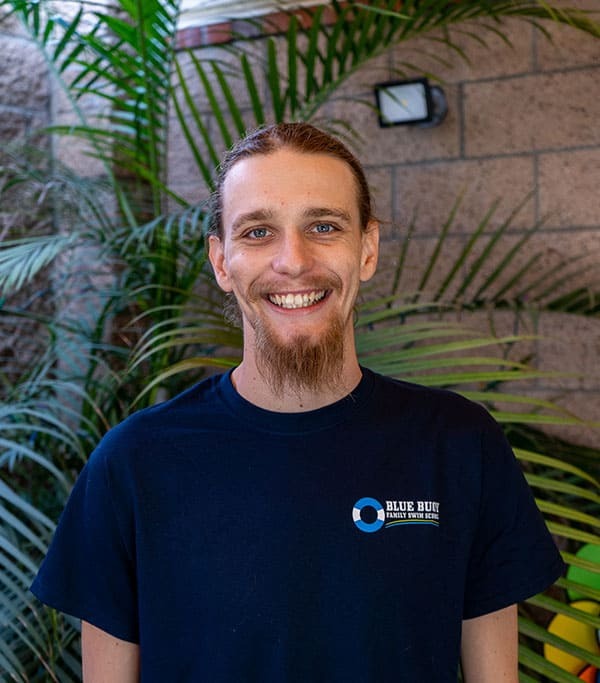 He has received a Certificate of Recognition from the City of Tustin twice for his services. In his spare time, he enjoys listening to music or attending a concert, drawing, and exploring on the beach. 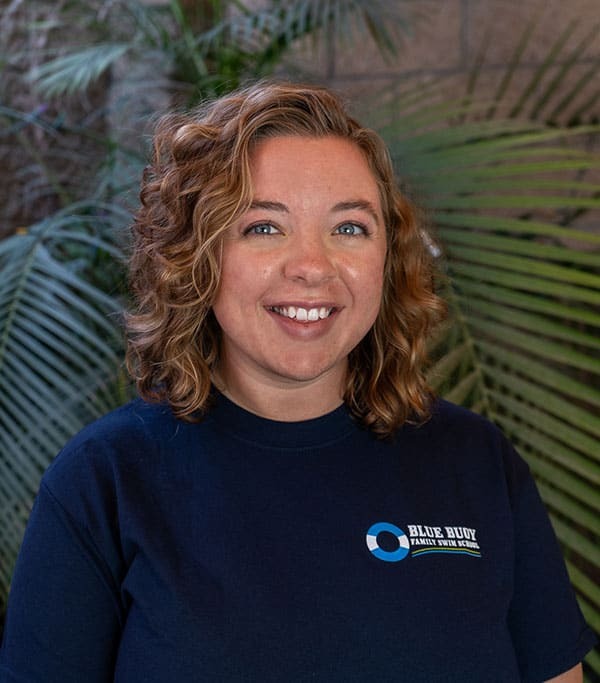 Leslie has been a part of the Blue Buoy Family since 2006. She loves assisting Blue Buoy families when they arrive for lessons. Leslie’s four children all swam and played water polo at Villa Park High School, and all have been Blue Buoy instructors. She is now enjoying watching her grandchildren take lessons at Blue Buoy! 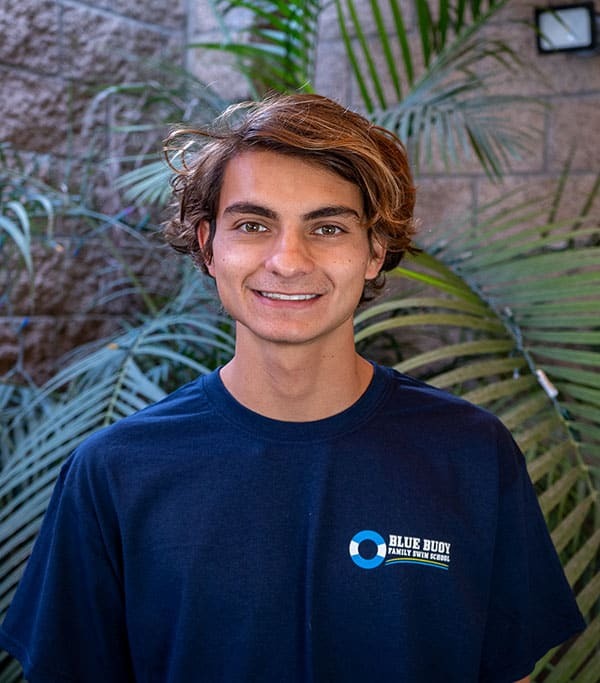 Ian has been Blue Buoy Family since 2002 when he started swim lessons at Blue Buoy and also participated in the Swim Meets. He swam Varsity for four years on his High School swim team and made it to CIF for the last two years. Ian times the swimmers at the Swim meets, substitute teaches and loves to help all the swimmers stay safer in the water. In his spare time, he likes to collect vinyl records, listen to music, and hang out with his friends. 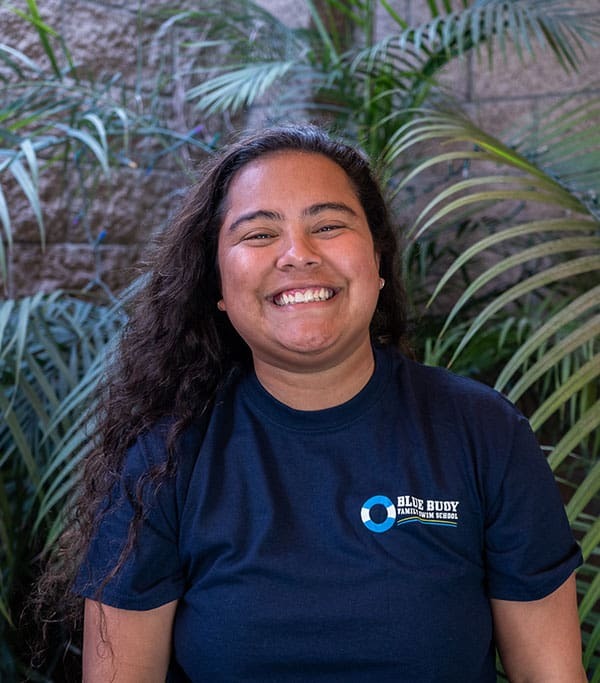 Evelin became part of the Blue Buoy Family as a water watcher in 2014 and then shortly after one of our Instructors. She was on her high school swim and water polo team at Tustin High School. 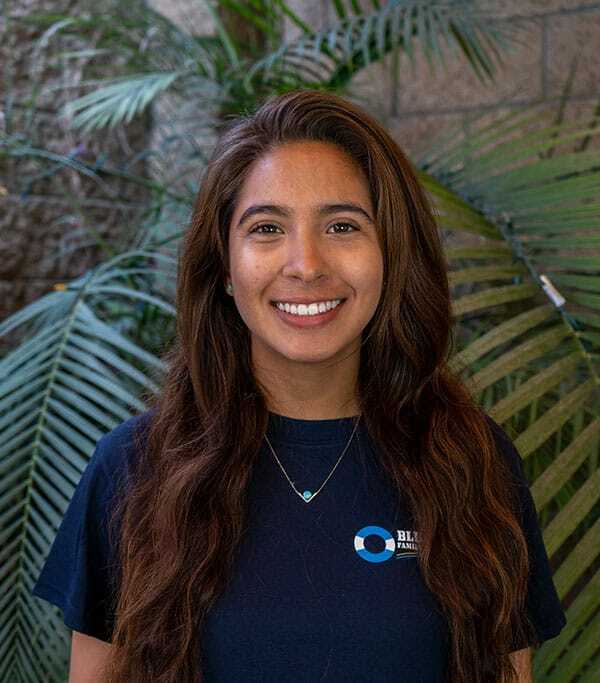 Evelin helps lifeguard pool parties, times swimmers at our swim meets, and helps Blue Buoy swimmers to stay in safer water. In her spare time she enjoys spending time with her bunnies, and family! 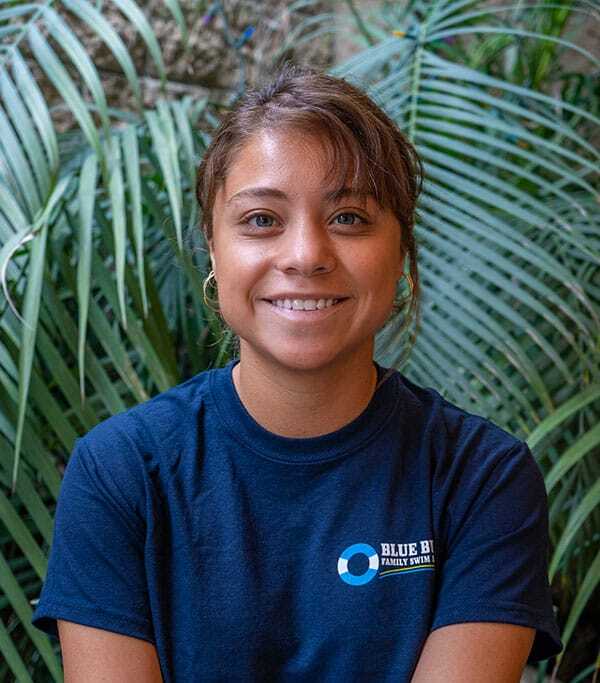 Beatriz became part of the Blue Buoy Family in 2015 as a water watcher and later that year became a teacher. Beatriz was on her high school swim team at Tustin High School. 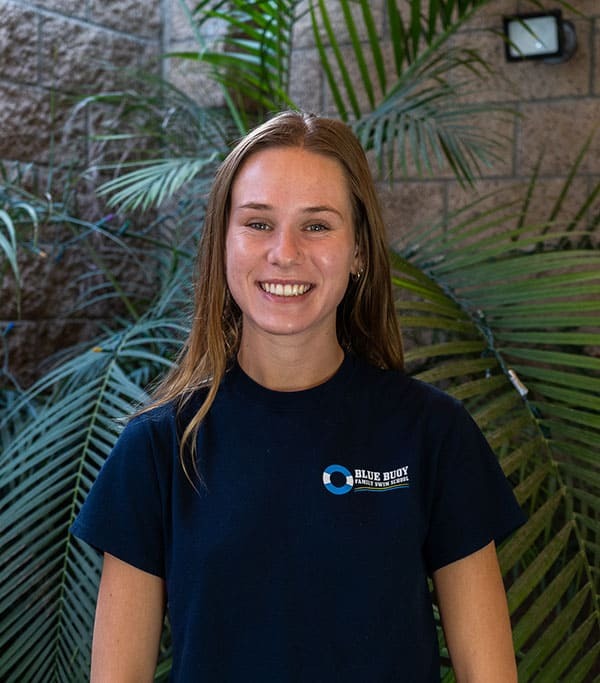 In addition to working at Blue Buoy she helps coach at Tustin High School. 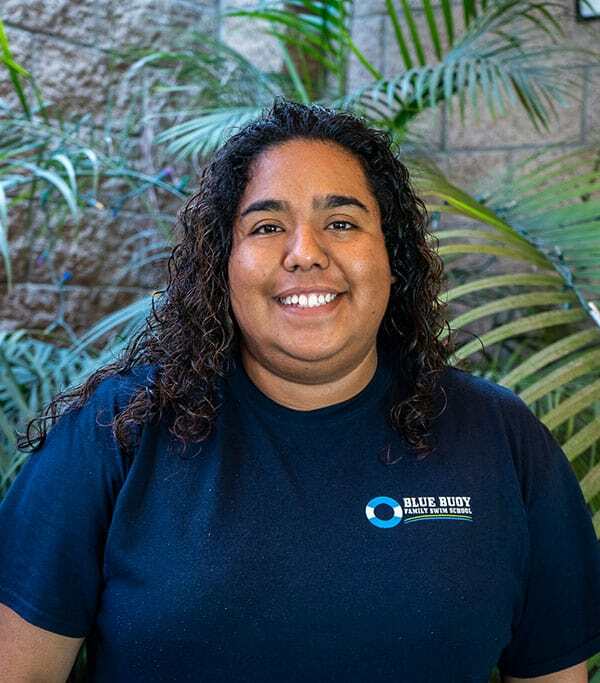 Beatriz has previously lifeguard and taught swimming lessons for the City of Tustin. If she is not teaching she is helping our customers in the Front office at the pool. Pricilla became part of the Blue Buoy Family in 2015. She enjoys working with children and has previous experience teaching Parent & Me, and Semi-Private Lessons. Aside from swimming she also teaches children how to play the guitar and piano. In her spare time, she loves to swim, play music, and go hiking. 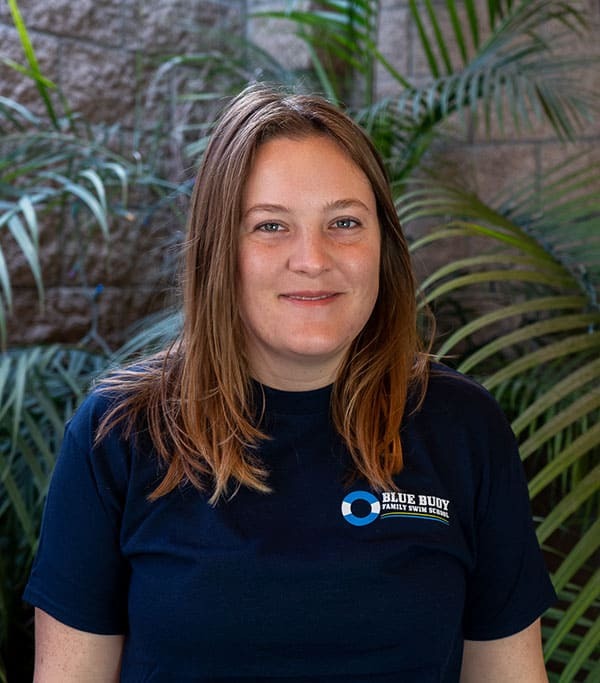 Jessika became part of the Blue Buoy Family in 2015. She swam at ORCA and was on the water polo and swim team at Villa Park H.S. She has also previously life guarded and taught swim lessons for the City of Orange. She finds it most rewarding when students become comfortable in the water and learn to enjoy swimming. In her spare time she loves to watch old movies, read, write short stories, and serve in the children’s ministry at her church. 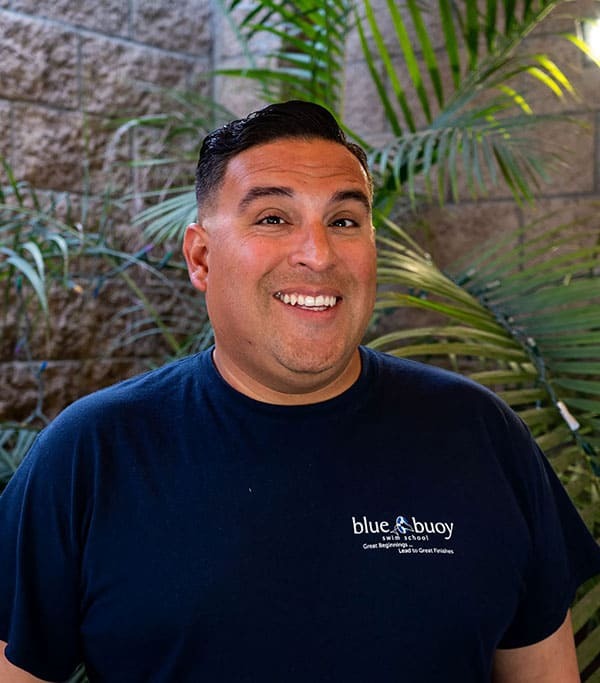 Michael has been part of the Blue Buoy Family since 1990s when he learned to swim at Blue Buoy as a baby! Swimming is part of Michael’s soul. He grew up as a competitive swimmer with Irvine Novaquatics, led Mater Dei High School to its first Trinity League Championship, was a State Champion in Georgia, and swam at the Division 1 level in college. But teaching and working with children of all ages is Michael’s true passion. Turner has been Blue Buoy Family since 2000 when he took his first lesson at only 5 weeks old! He grew up taking lessons with Grandpa Johnny, Dad Eric, and “Uncle Jeremy”. 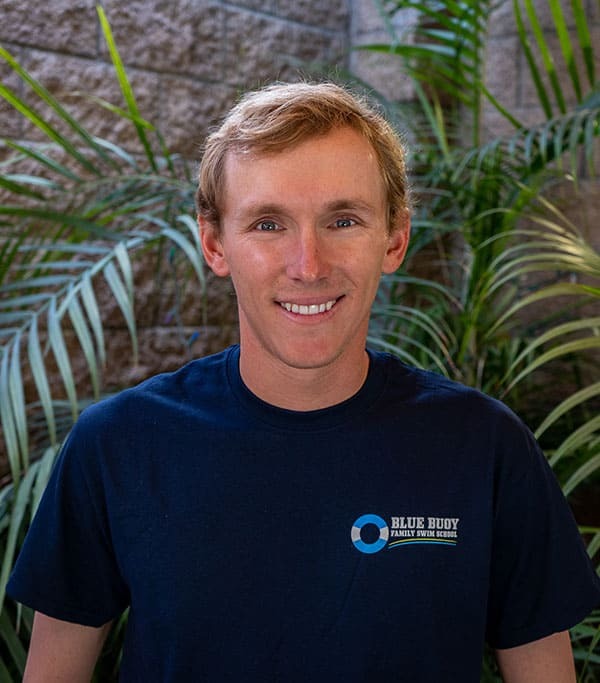 Since growing up at Blue Buoy he also participated in the Blue Buoy Swim Meets, World’s Largest Swim Lesson, and Safer 3 events. Turner starting teaching lesson with us in 2018 and enjoys working with children of all ages. He has been a co-counselor at Camp James in Newport Beach. He has also collaborated/ participated on Hip Hop dance workshops for children & adults in OC and LA area. Turner is currently attending Irvine Valley College and in his spare time he likes to draw, work on speaking Japanese, and freestyle hip hop. 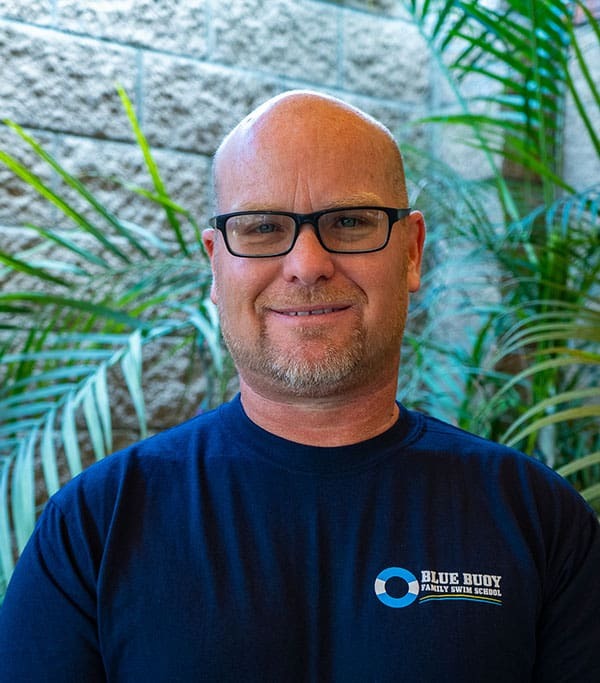 Mike became part of the Blue Buoy Family in 2016. He has taught for a competitive swim team and swam and played water polo for FAST and Servite High School. Mike continues to help with the Aquachievers, for special ability children, and the Village of Hope program. He loves to teach, and helps time at our swim meets. Mike is currently attending SCC and in his spare time he likes to spearfish and go to the beach. 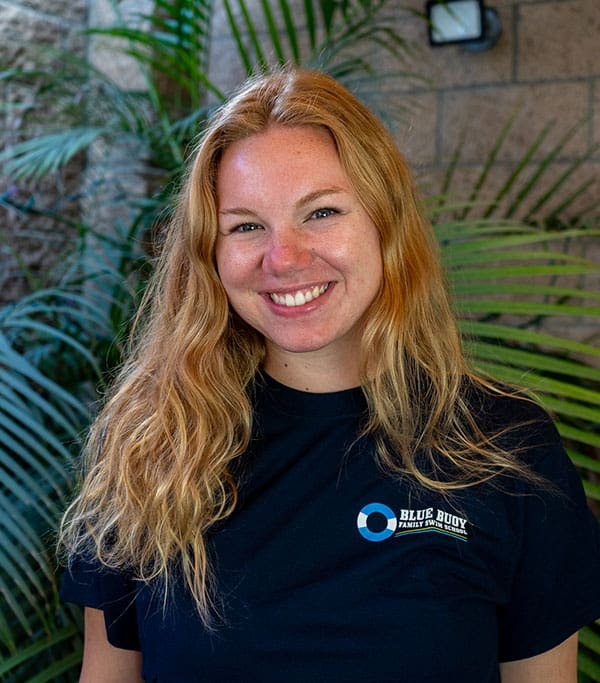 Rachel P. became part of the Blue Buoy Family as a water watcher in 2017. She was a competitive swimmer for Foothill High School. Rachel P. substitute teaches, and loves to help all the swimmers stay safer in the water. 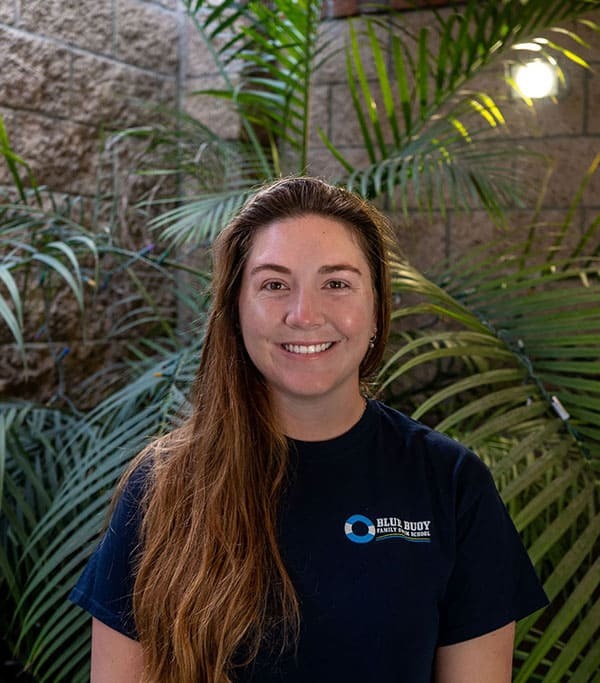 Emily became part of the Blue Buoy Family as a water watcher in 2017, and then became an Instructor later that year. She had taught and guarded previously to joining Blue Buoy. Emily learned to swim when she was 3years old and has loved being in the water ever since. She started swimming competitively when she was 10 years old and was a Gold & Silver medalist in the Junior Olympics in 2009. She is a Diagnostic Medical Sonography student and is super passionate about keeping people safe and healthy. When Emily is not studying she likes to be in the kitchen baking! Rachael J. has been Blue Buoy Family since 2000 when she took her first lesson at 3 Months old! She grew up taking lessons with her Grandpa Johnny and Uncle Eric and participated in the Swim Meets. She swam for Oceanside Aquatics and was on a Varsity Dance Team at San Marcos High School. She is currently attending Irvine Valley College and in her spare time likes to spend time with her friends. She times the swimmers at the Swim meets, substitute teaches, and loves to help all the swimmers stay safer in the water. 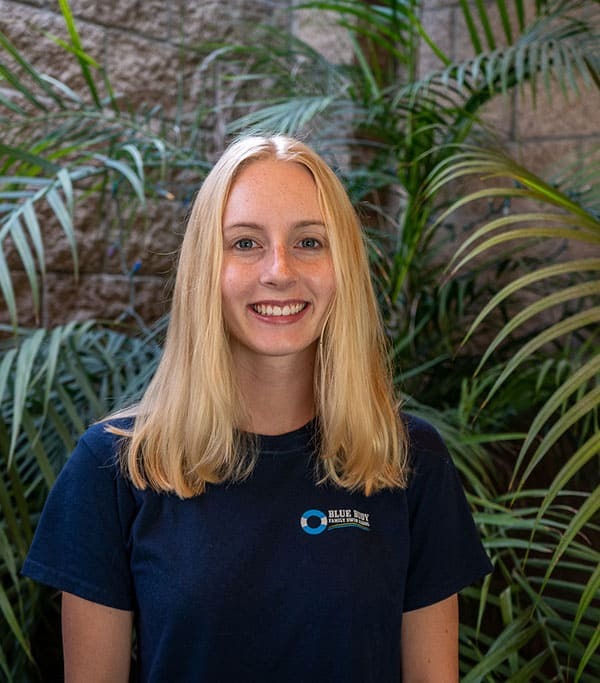 Katie became part of the Blue Buoy Family as a water watcher in 2018. She times the swimmers at the Swim meets, substitute teaches, and loves to help all the swimmers stay safer in the water. 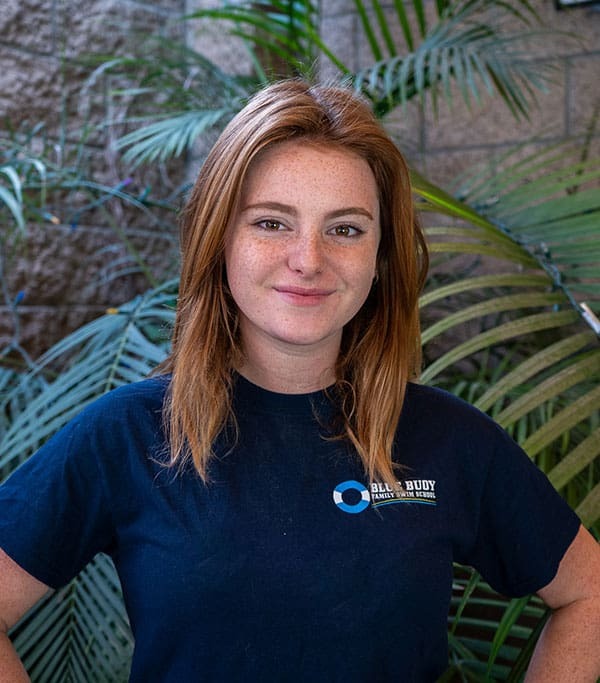 Ally became part of the Blue Buoy Family as a water watcher in 2018. Ally loves children and is working towards a degree in elementary education. She times the swimmers at the Swim meets, substitute teaches, and loves to help all the swimmers stay safer in the water. In her free time she likes to spend time with her friends and family.